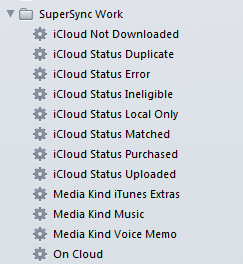 SuperSync needs a few smart playlists added to your iTunes to really work well with iTunes Match. These playlists will be added to a new Playlist Folder called "SuperSync Work". We think these playlists will be useful to you as well, but at any time you can delete them from iTunes... and if you want them back again later, you can re-import them. Select Cloud Overview from the SuperSync's File menu. If you see a big blue dialog, you've already done this step and can continue here. Otherwise, you'll have an opportunity to configure iTunes for SuperSync Cloud support. 1. 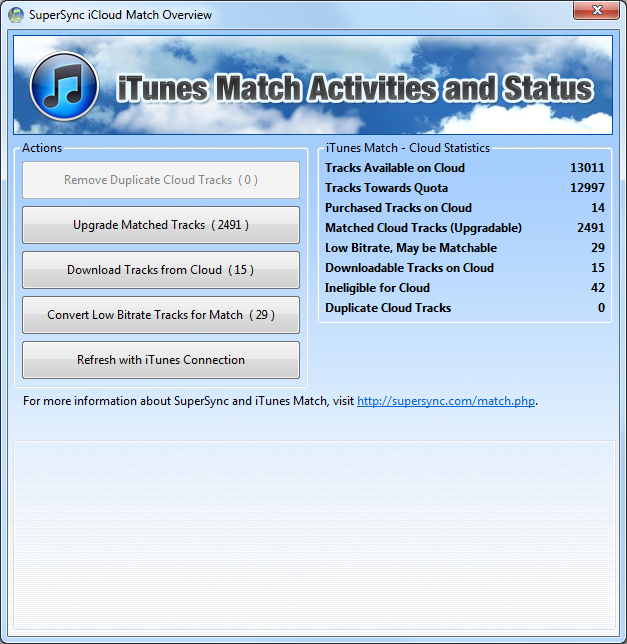 When you open the "SuperSync iTunes Match Setup" dialog, a temporary file is created on your desktop called "_supersync.xml". 2. 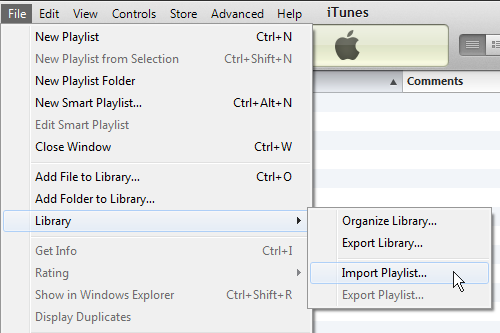 Open iTunes, and from the File Menu, select Library, and the submenu "Import Playlists..."